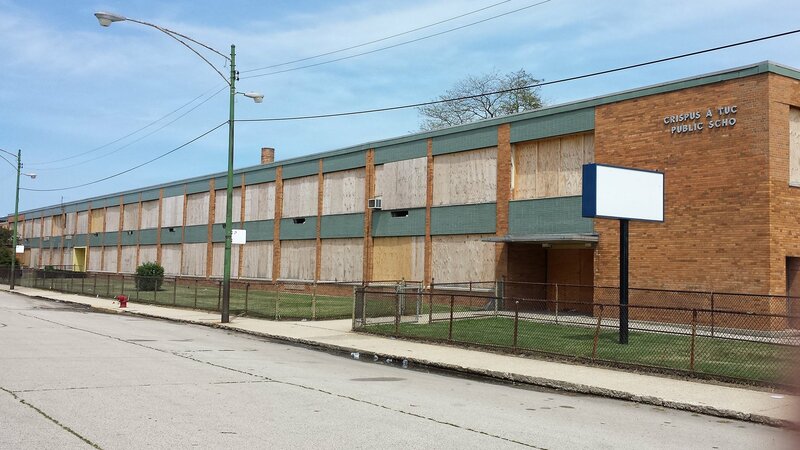 It’s been five years since Chicago Public Schools carried out one of the largest waves of school closures in U.S. history, shuttering 50 “underutilized” schools with a plan to redirect resources and run the cash-strapped district more efficiently. But in a new study examining the impact of the closures, researchers found kids both from the shuttered schools and nearby “welcoming” schools, which took on many of the displaced students, saw negative effects on test scores over the short- and long-term. Tuesday marks the fifth anniversary of the Chicago Board of Education’s vote to close dozens of schools throughout the city. All told, 47 elementary schools were shut down, effective at the end of the 2012-13 school year, along with one high school program located within an elementary. Two other schools were phased out the following year. Between those schools and the “welcoming” schools, about 30,000 students, teachers and staff were affected by the closures. UChicago’s Consortium on School Research published its new report on Tuesday after interviewing students and school staff to learn more about the impact these closings had on the people most affected by them. The new report comes three years after a previous Consortium study found the vast majority of displaced students did move into schools with higher performance ratings than their closed schools. But only about one in five of those students ended up in the district’s highest-rated Level 1 schools. The study authors said they spent more than two years on the new report, and interviewed dozens of students and staff impacted by the closures. Through their research, they discovered challenges with logistics, relationships and school culture as closed school communities were merged with 48 “welcoming” schools. Though the closings didn’t affect student attendance or suspension rates, researchers found long-term negative effects on math test scores for students from closed schools as well as short-term negative effects on reading test scores for both groups of students. Reading scores generally rebounded after a year, but the study found the math scores of displaced students continued to trail a control group four years later. One possible explanation, the authors identified, is the disruption caused by the transition process. Students and staff from these schools reported feeling unprepared heading into the new school year following the closures, according to the researchers, describing the transition as “chaotic.” They recalled a period of mourning that existed as classmates were split up and various school cultures were merged together over a short period of time inside different buildings. “Staff said they had a really hard time getting buildings ready to receive students on time because the move itself was chaotic, promised repairs and upgrades were not finished before the school year started,” UChicago Research Scientist Molly Gordon said. But even with those issues, the study notes many negative impacts predicted by critics of the closures didn’t take place. CPS contends other metrics, including overall GPA and disciplinary rates, show these students weren't negatively impacted by the school closings even if their learning gains lagged behind their peers. CPS put into place a five-year moratorium on school closings following its 2013 actions. When that expired, district leaders immediately announced plans to shutter four Englewood-area high schools and open a new $85 million school in that community. Students at three of those schools will be phased out over multiple years. The district says it has no current plans for any more large-scale closures. CPS officials acknowledge the 2013 process was “imperfect,” but say they've learned from that experience and will ensure students, staff and families affected by any future closures will receive necessary supports.